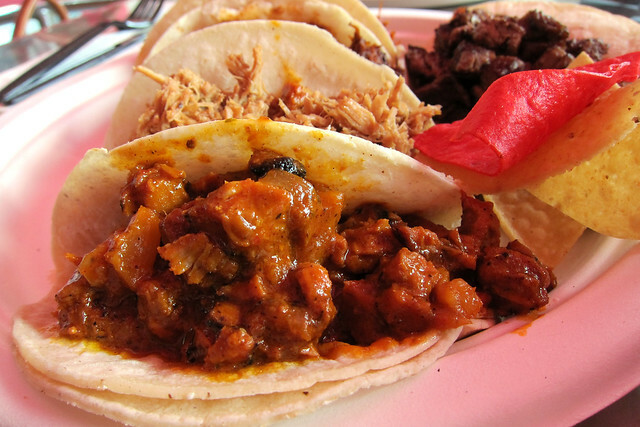 At 2 a.m. in most neighborhoods in Los Angeles, you can't afford to be picky about your tacos. At 2 p.m., you can. 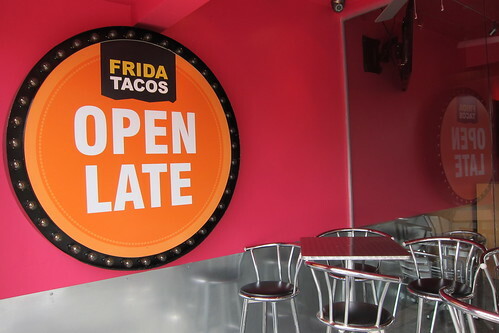 Frida Tacos, which opened in September in the short-lived, luchador-themed space occupied by Santito's Tortas, boasts that it stays open until 3 a.m. on weekends. Fueled by booze and bad judgment, I'd gladly eat here late at night. Then again, I'd do a lot of things at 3 a.m. on a Saturday I wouldn't normally do. Where Santito's offered bland but inoffensive tortas, Frida (a casual offshoot of Frida Mexican Cuisine on Beverly Dr.) seems bent on oversalting or oversaucing nearly all of their meats. Of the five-taco sampler platter, only the carne asada was passable. That's because it was grilled plain and simple, without any heavy-handed attempts at sauce or flavor. The pollo con mole, on the other hand, was strangely sweet, the cochinita pibil had no kick, and the al pastor was unpleasantly salty. 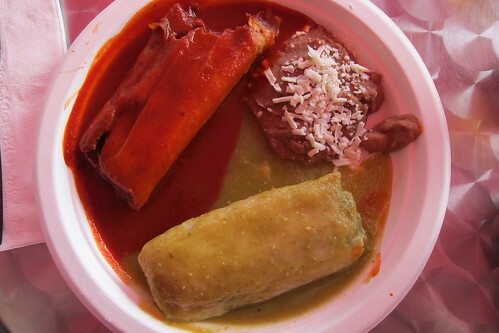 The tamales looked pretty but drowning in red and green sauces, they weren't much better. They were so mushy they were almost porridge. The spicy pickled onions slices at the salsa bar were a highlight and the indoor mural is gorgeous, but with the recent opening of well-reviewed Tinga on La Brea, Frida Tacos seems destined to play second fiddle. Frida Tacos: 7217 Melrose Ave., Los Angeles. 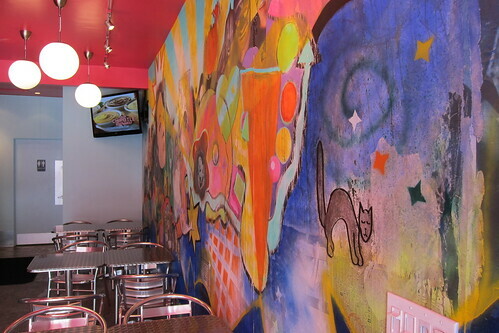 (323) 549-4666, www.fridarestaurant.com.